The Maldives took control early on but failed to turn possession and chances into goals. 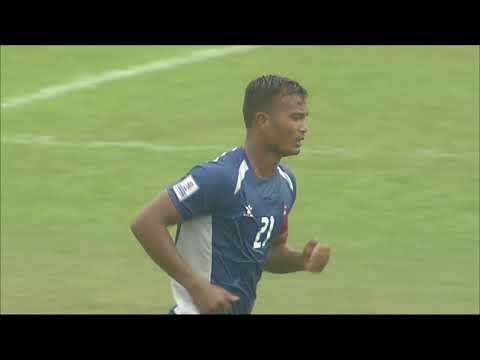 Hamzath Mohamed and Ali Fasir were troublesome for the Sri Lankan fullbacks with their speedy runs on the flanks. Along with striker Hassan Naiz, the three managed to create plenty of chances and attempted eight shots between them through the course of the match. The Sri Lankan defence managed to hold its own and came back after half-time a renewed side. Nizam Packeer Ali's side created several chances in the second-half, with Hewage Kavindu Ishan coming close to getting his side ahead. Eventually, neither team could get the goal they coveted, and a goal apiece was ruled out by the linesman with the scorers, offside. Petar Segrt, head coach of the Maldives remarked after the game, "We had a lot of chances, in the beginning, we attacked right away. The Sri Lankan goalkeeper was very good and made a lot of saves. The game was a very good 0-0. Both teams played a very open game. Both teams wanted to win and had a lot of chances. The running, chance creation, the goalkeeping was very good and I must congratulate all my players". "I'm very happy that my team played very well. For a very long time, we've been losing to the Maldives but it was a great match. Unfortunately, we missed some chances. The credit should also go to the Maldives defender and goalkeeper, they defended very well. Winning or losing or drawing is part of the game," said head coach of Sri Lanka, Nizam Packeer Ali. The Maldives will face India in the final Group B match. If the Red Snappers can take a point in the game, they will go through. If they're defeated, it would depend on who has the better goal difference between them and Sri Lanka as they're tied with a point each after this game.